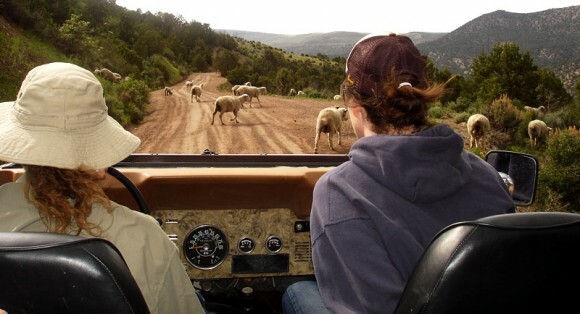 Besides being good adventures in themselves, whitewater rafting and jeep tours are great ways to have some Colorado wildlife sightings on the way. Whether you’re paddling with Timberline Tours on a Vail whitewater rafting trip or out exploring with us on a nearby jeep trail, you’ll have plenty of opportunities to view wildlife in its natural habitat. The Timberline Tours guides love sharing knowledge about Colorado wildlife and history while on outdoor adventures with guests. Even common Colorado wildlife sightings such as deer can be exciting if you don’t normally have the chance to see wild animals where you live. 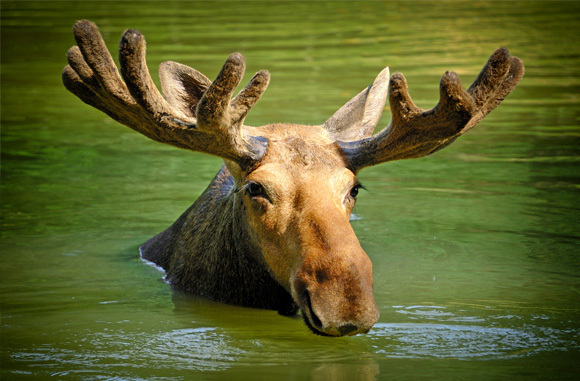 Less common sightings such as bear or moose can make memories that last a lifetime. On the Upper Colorado River, you’ll take in the full beauty and adventure of Colorado’s scenic canyon country. Animals actively roam in this area, and common wildlife sightings include mule deer and elk. Bear are sighted more often on our Colorado River rafting trips than on any other river section we run, but they’re still elusive creatures. Beaver and otters are often seen in the water, and if you look to the sky while paddling through calm river sections, you’re likely to spot red tail hawks, bald eagles, and turkey vultures flying around. Whitewater rafting on the Eagle River’s Dowd Chute and Lower Eagle River sections will put you in prime Colorado wildlife viewing zones. Bear have been spotted in the Dowd Chute area, and marmots are often seen and heard whistling from their rocky habitats along the riverbank. Bald eagles and red tail hawks swoop through the sky, and beaver families happily make this river their home. White tail deer may also been seen in this area, though they are less common in developed areas along the way, and moose have been spotted along Gore Creek, which leads into the Eagle River, as well as on jeep tours in the area of Piney River Ranch. If you’re whitewater rafting on the Pine Creek or The Numbers sections of the Arkansas River, be sure to look for bighorn sheep, which are often sighted from the shuttle to the river put-in and along the banks of the Arkansas River. The Browns Canyon section of the Arkansas River was designated a national monument in 2015, in part due to its abundant wildlife including bighorn sheep, mule deer, and elk. While wildcat species rarely show themselves, this area is also the natural habitat to mountain lion and bobcats. For those who are animal lovers as well as an outdoor adventurers, then a Timberline Tours whitewater rafting trip or a jeep tour will offer the chance to enjoy both this summer, so give us a call to book your trip today!